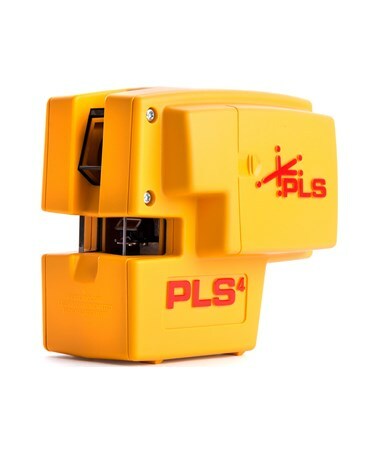 The Pacific Laser Systems PLS4 Point and Line Laser Level 60588 is a self-leveling construction laser used for both interior and exterior applications. It has 2 lines and 2 points for easy plumbing, leveling, and squaring. The working range is up to 100 feet, cross line accuracy is accuracy within ±1/8 inch at 30 feet, and plumb point accuracy is within ±1/4 inch at 100 feet. There is also 1/4 x 20-inch thread for use with a tripod. 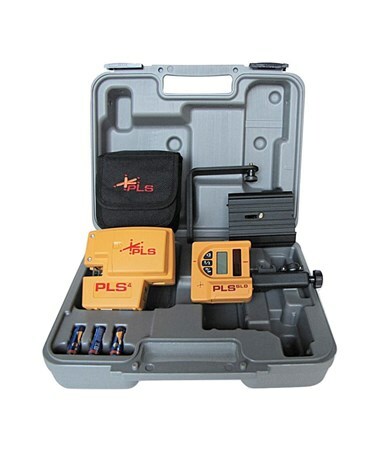 This package includes the PLS4 cross beam level, an SLD laser receiver, a magnetic mount, floor stand, and a carrying case. 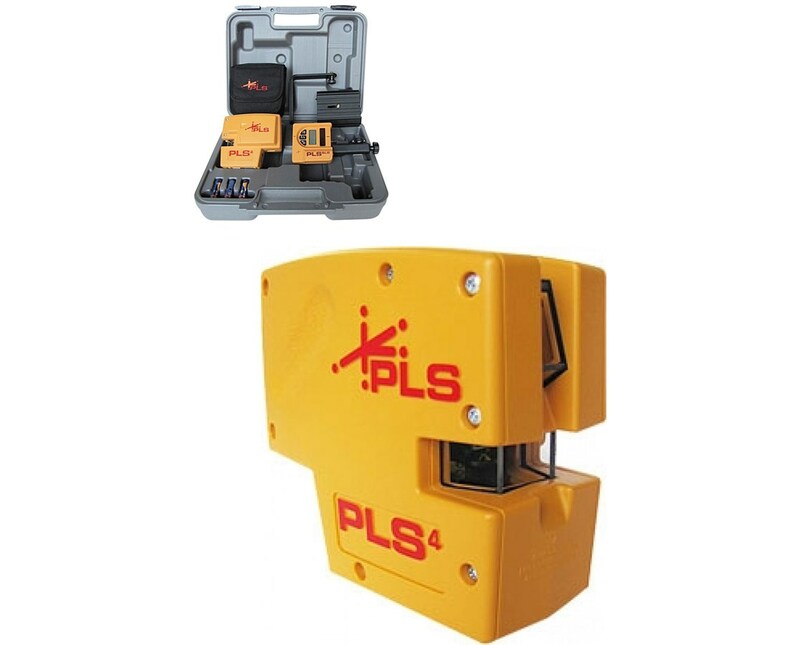 The PLS4 combination laser level projects a single horizontal and single vertical line with fan angles of about 180 degrees, as well as a cross line. Towards the back of the unit are two plumb points that project up and down. 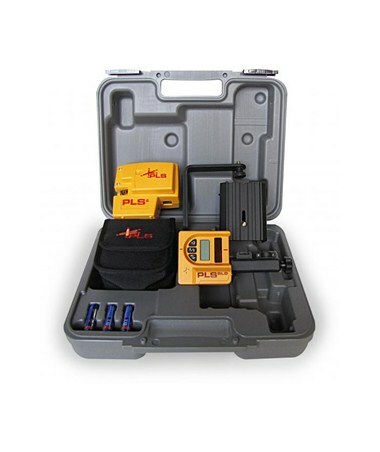 The included SLD detector allows detection of the beam up to 100 feet outdoors and in bright light. 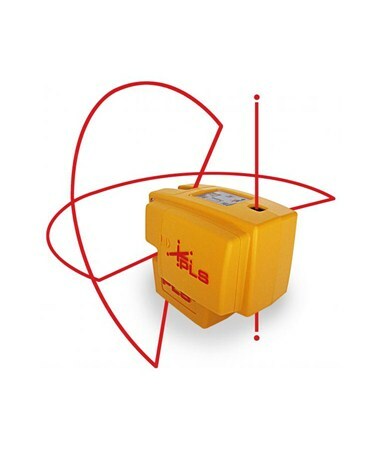 The receiver is powered by a single 9V battery and features 2 display screens for easy viewing, 2 accuracy settings, and an audible alert when beam is detected. It includes a rod clamp batteries, and a 1 year limited warranty. This self-leveling line laser automatically compensates for tilts within 6-degrees. If the instrument is further out of level, a red light appears and the unit shuts off. Automatic leveling can be disabled to position the construction laser tool at any angle. The PLS4 is dust and water-resistant. Its convenient cantilevered nose ensures that it can be easily set on tracks or similar-shaped objects. 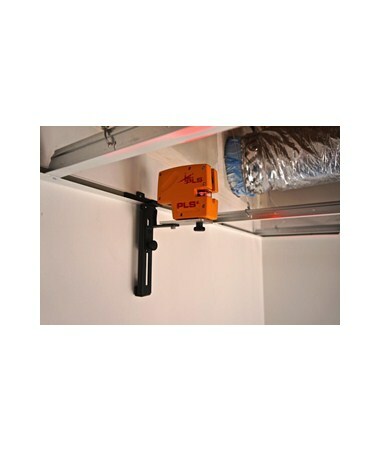 The line and point laser level can also be attached to metal surfaces using the included magnetic wall bracket. 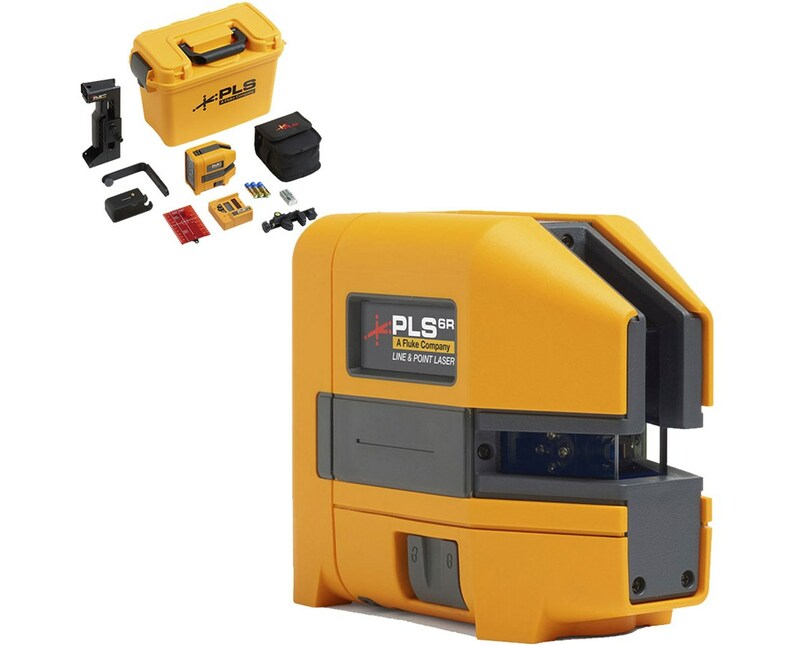 This Pacific Laser Systems construction laser runs on 3 AA batteries and provides up to 25 hours of operation when using a single beam and 12.5 hours when using two beams. An amber-colored light appears when the batteries are ready to be changed or charged. 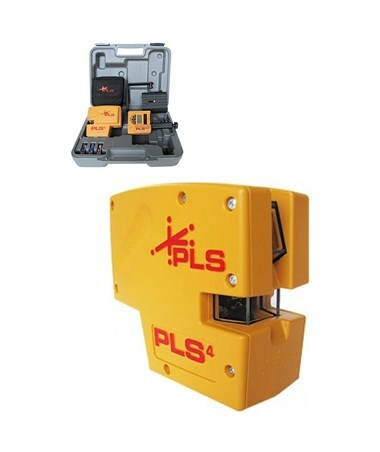 The PLS4 line and dot laser also includes a user manual and a 3-year limited warranty.